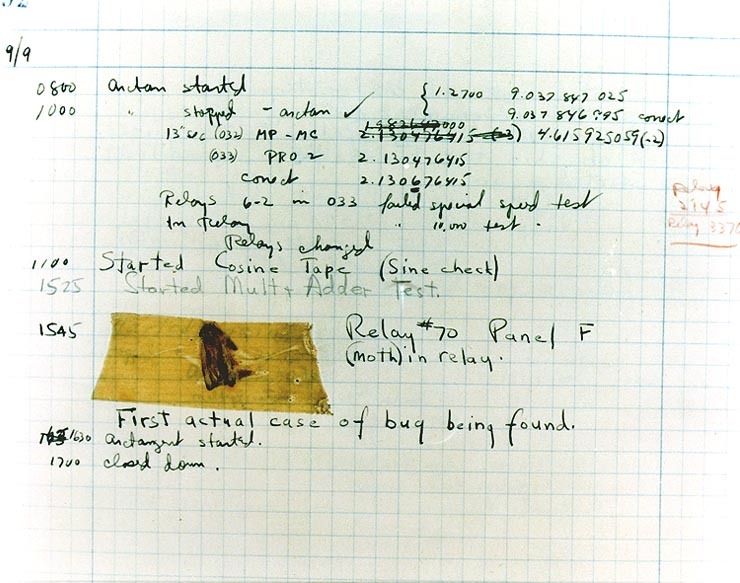 From wikipedia: While Grace Hopper was working on a Mark II Computer at a US Navy research lab in Dahlgren, Virginia in 1947, her associates discovered a moth stuck in a relay and thereby impeding operation, whereupon she remarked that they were “debugging” the system. Though the term bug had been in use for many years in engineering to refer to small glitches and inexplicable problems, Admiral Hopper did bring the term into popularity. The remains of the moth can be found in the group’s log book at the Smithsonian Institution’s National Museum of American History in Washington, D.C.